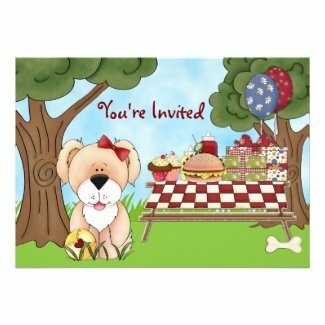 Take a look below for a great collection of adorable custom Dog and Puppy Invitations for kids. There are invitations for both girls and boys. Click each invitation to personalize and view additional details. Take a look at Cute Puppy Dog Themed Party Supplies for a great selection of dog and puppy themed party supplies. You will find cake and cupcake supplies, decorations, favors and more.